The Malvetani family-owned farm has been active over the years to improve the quality of its extra virgin olive oil (evoo). Meticulous attention in cultivation and maniacal care for details during the production have allowed us to obtain an evoo of excellent quality, probably the best Italian extra virgin olive oil. 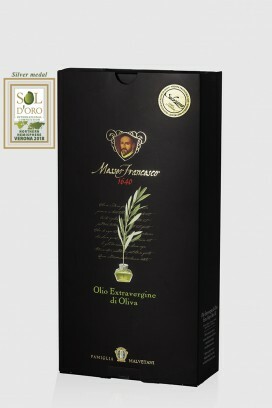 On September 14, 2017 the Evoo “Messer Francesco 1640”, produced by the Malvetani Company, has been awarded with the recognition of "Campeones Top20" at the international competition Olivinus 2017 reserved to the best 20 evoo selected from more than 600 companies of 17 different countries. Two other important awards have been given to the Malvetani company: the "Grand Prestigio Oro", reserved for highest-rated oils and "Mejor Diseno" for the best label and packaging. 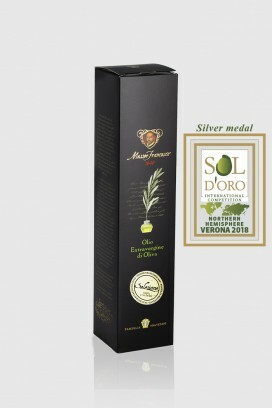 The prestigious awards won by “Messer Francesco 1640” in Argentina are the result of our centuries old passion for excellent farm products and particularly for extra virgin olive oil.